More than 30 years ago, BIOPRO, LLC founder, Dale Cillian, saw a need to help families in Phoenix, AZ who had encountered a suicide, undiscovered death, homicide, or fatal accident, and were in desperate need of comprehensive crime scene clean-up services. From this, the crime scene clean-up industry was born. In that moment, Dale became committed to establishing a state-of-the-art crime scene cleaning and decontamination business in order to help families deal with the added emotional trauma of cleaning up after a loved one. Today Cillian's biohazard recovery company, BIOPRO, LLC, stands far above the rest, having created the innovative methods and techniques that drive the biohazard industry. You would be amazed at what passes for experience in the biohazard and restoration industry. Despite the ultra-sensitive situations and contaminated materials being dealt with on a regular basis, the average homicide or crime scene cleaning company offers its employees a grand total of one single hour of training. Only one! It's almost criminal, but most of all, it is unacceptable. Compare this to BIOPRO, LLC, which provides a minimum of 200 hours of training for its technicians. But that's not all! In an industry that requires at least a decade's worth of experience, most trauma and dead body clean-up companies are fly-by-night operations that are fewer than six months old and often operating unlicensed out of family homes or apartments. Moreover, they don't understand how to deal with families or biohazard situations. The stakes are too high and the job itself too important to settle for such a frivolous approach. As the oldest and most celebrated biohazard clean-up company in the world, BIOPRO, LLC represents the opposite end of the spectrum, earning the highest level of respect as an innovator in its industry. A quarter century's worth of experience is brought to each job our team undertakes, as is the utmost care and compassion for the victims and families involved. 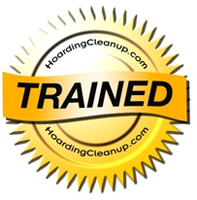 Choose your biohazard cleaning company wisely, and do so based on experience, credentials and proven results. When you do, you'll understand why, in an industry full of pretenders, BIOPRO, LLC stands alone. Call (877) 492-7549 toll-free today for further details.